An iceberg has been used over and over again by instructors to illustrate hidden realities. We often talk about the “tip of the iceberg” meaning there’s a larger amount of unseen substance than what’s visible. It’s an analogy. The iceberg is one of our most popular Habitudes® images when we teach leadership to students. It has everything to do with integrity. I believe the ten percent that lies above the water line represents our skills. They’re visible. Everyone can see them. But, they’re only the tip of our influence. The 90 percent that lies beneath the surface represents our character. And it’s always what is below the surface that sinks the ship. Consider the Titanic for a moment. That tragic shipwreck that killed hundreds of people on board wasn’t due to the tip of the iceberg. It was that massive amount that’s invisible. It’s true about most failures in life, as well. I don’t know anyone who’s derailed their life with a technique flaw. I do, however, know several people who’ve derailed their career or their marriage or their friendships due to a character flaw. When we teach our children character, (whether they’re six or sixteen), we cultivate substance beneath the surface. It can’t be seen, but in the long run it will surely impact the substance and direction of their lives. It’s invisible but important. The fact is, the majority of our influence lies in qualities beneath the surface. My guess is—you’re a parent who wants to raise your children to be people with integrity. You want them to live by values, to be honest and ethical and to build a solid reputation. It’s a noble goal, but one that’s not easy to achieve today. Why Is This so Challenging to Develop? Their talent has the potential to carry them further than their character can sustain them. Without direction, their gift can mold them into someone they don’t intend to become. They’ll be tempted to use their gifts to go places their character isn’t robust enough to guide them or keep them aligned with good ethics. Trouble comes when their integrity doesn’t keep pace with the momentum created by their intelligence. Sometimes our intelligence is much stronger than our character. Our moral intelligence isn’t strong enough to give us clarity to make good choices. Smart kids can rationalize almost any misbehavior or poor decision. There is no correlation between giftedness and maturity. It’s easy to assume that a talented athlete, student council member or performer must be a mature leader. Not true. A person can have great gifts . . . and be the most immature person in the world. Unfortunately, they can still have influence. We must help our kids see the difference. Their commitment to integrity can be easily eroded by their love of progress. If a student lacks integrity, it doesn’t mean they’re inherently bad people. It may mean they are leaders and this is pushing them forward. Leaders want to make progress! Because they love progress they can compromise a commitment to integrity. In addition, we live in a day of pluralism and tolerance, where we’ve taught our children to value and accept all points of view. This is a good thing. Unfortunately, kids can unwittingly fail to distinguish perspectives that are just plain wrong or unethical. The unintended consequence can be that kids fail to develop the ability to discern right from wrong. They don’t want to be judgmental, so they withdraw from making even moral judgments. This inability will be conspicuous as they begin their careers. 1. Make a list of values. One of the two greatest goals you can model and teach to your children is to help them create a list of 4-6 words that describe the person they hope to become as adults. Call it a list of personal core values. Then, help them find ways to live up to those values weekly. 2. Challenge them to add value to others daily. Next, in addition to living by values, give them perspective on adding value to others. Help them to perform one act every day that adds value to someone else. Try doing it yourself. Living by values and adding value are what makes people valuable to teams. 3. Make it a game to do what you disdain. Challenge the family to choose something every week that you each don’t like to do, and do it daily. It may be a chore around the house, like taking out the garbage. Keep score on parents and kids. This creates a habit of doing right—even when it’s no fun. 4. Dinner check ups on integrity. At dinner, talk about a weekly opportunity each family member had to practice something that displayed integrity when no one was watching. Anonymous acts of character. Affirm any growth in each person. These simple acts can begin to cultivate kids with robust character. Kids who grow below the surface. Solid. Stable. Steady. Interestingly, there is such a thing as an iceberg that has very little substance below the surface. It’s called a “whistler.” They have nothing more underwater than what’s above. They’re like a floating ice cube. Do you know how you can identify a “whistler?” They consistently make noise as they drift. Let’s raise our kids to have substance below the surface. 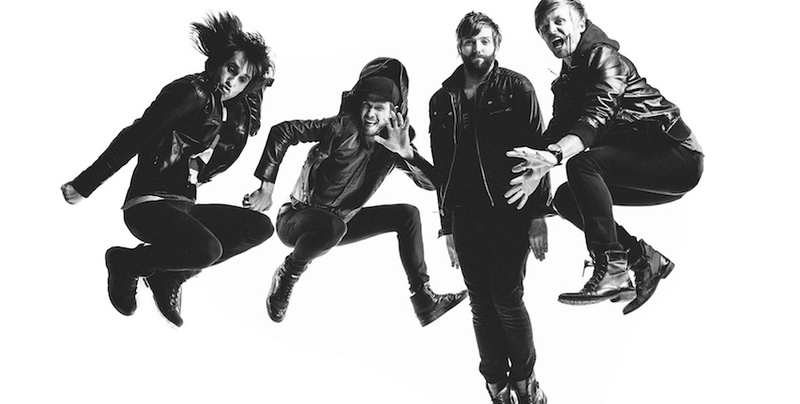 Disciple is here at the New Braunfels Civic Center Thursday, February 16!!! Contact Brandon Best at Oakwood Church offices for discounted tickets – 830.625.0267. The rock band Disciple first came together in Tennessee back in 1992, when Kevin Young, Brad Noah, Adrian DiTommasi and Tim Barrett were in high school. Known for their hard rock sound, and thought provoking lyrics, the band quickly caught the attention of record executives and released their first CD, What Was I Thinking in 1995. Over the next few years the band released the albums: This Must Sting a Little (1999), By God (2001), Disciple (2004), Scars Remain (2007) and Horeseshoes & Handgrednades (2010). The band also released a variety of songs including: “I Just Know,” “Not Rock Stars,” “The Wait Is Over,” “Game On,” “After the World,” and “Dear X (You Don’t Own Me).” Their song “Game On” was chosen for numerous television shows and commercials. 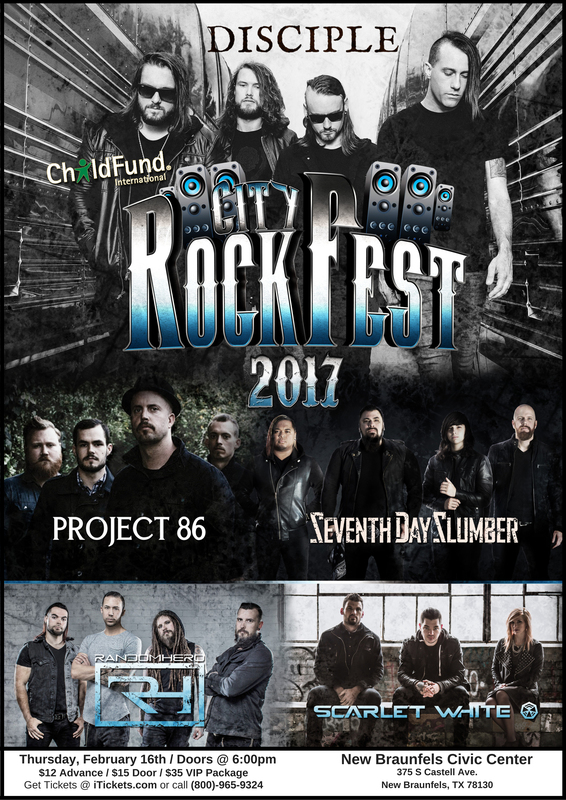 The Oakwood Student Ministry is getting Group Tickets to the CITY ROCKFEST 2017 CONCERT Thursday, February 16!!!! Email Brandon.Best@oakwoodnb.com for a discounted group ticket of $10. 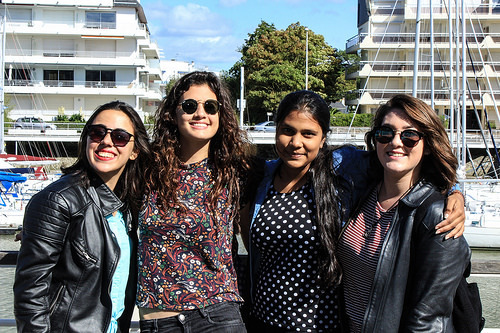 Students can also buy tickets at our Weekly Wednesday and Sunday meetings. Location: New Braunfels Civic Center 375 S Castell Ave. 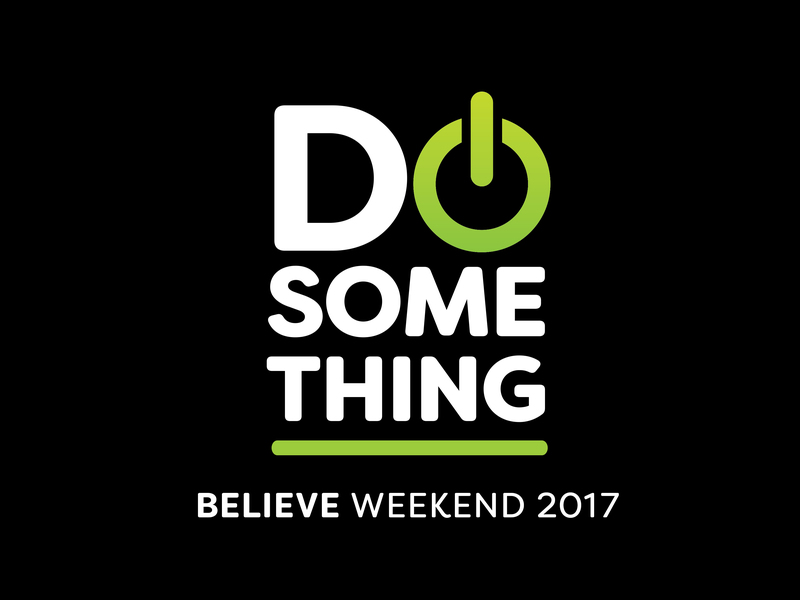 Praise God for Believe Weekend! 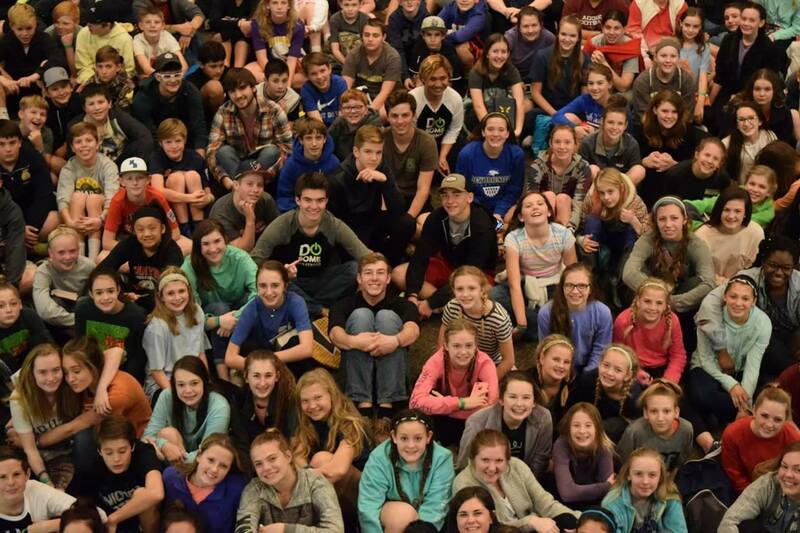 Do Something Projects – We raised an estimated $20,000 for the Peru Work through Compassion International and we have a whole lot of socks and towels we will give to a local shelter.